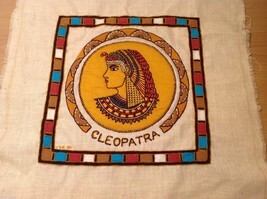 This is a listing for a vintage hand embroidered strap from hungary. 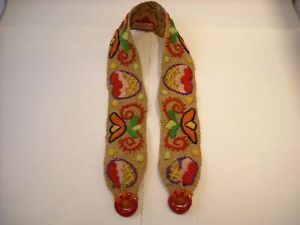 It is a brown woven strap with multicolored hand embroidery. There are red plastic rings sewn on both ends. 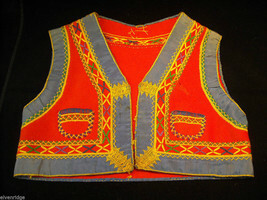 It is labeled, "hand embroidery, made in hungary." 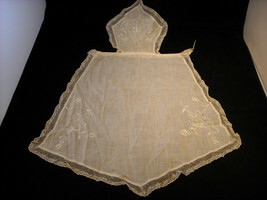 It is in good condition with a few loose yarn ends. It measures 30" long and 2 1/4" wide.